What Hardware will I need for my vehicle? 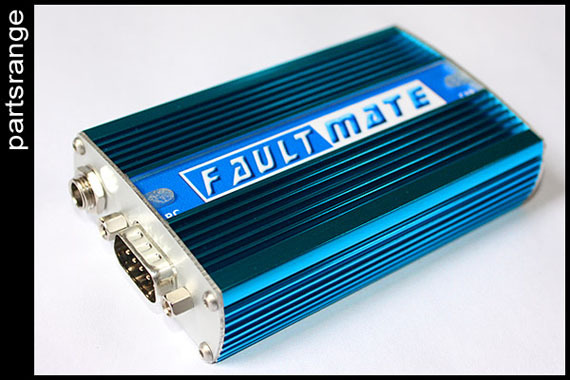 We have placed below a list of vehicles along with what FaultMate components you will require. Along with the below mentioned parts you will of course also need a PC/Laptop running Windows and Internet Explorer Version 6 or above. Along with the following hardware you will also require either single or multiple vehicle software. Information on this can be found here. You may also require a USB adaptor to plug the unit into your computer - more info on this here. Will you require a USB adaptor? The FaultMate system connects to your computer via a serial connection, as seen on the left image below. If your laptop does not have a serial port then we can supply you with a USB to Serial adaptor lead as shown in the image on the right below.